Welcome to 3131 Lisbon Lane Townhouse for Sale in Oxnard California located in one of the most desirable communities in the area- RiverPark. The Townhouse has been well kept and is priced reasonably for anyone who seeks to live in this vibrant and energetic community. This is a spacious 2 Bedroom 2 Bathroom Multi Level Townhouse boasting a wide kitchen with wooden flooring, granite countertops and large wooden cabinets throughout, ideal for the inspired chef within. The property has approximately 1,396 square feet of living space and features a two car garage tandem. Entertain guest with ease and comfort throughout the open living room and dining room areas on the second level. Most of the second level floor is covered with hardwood except for the bathroom, which has laminate tile, and laundry area, which has carpet. A balcony sits right off the dining area adding room for guest or perfect for a private personal moment. Also on second level you have a convenient laundry area next to one of the bedrooms. Additionally, this property features many large windows throughout which offers much natural light and creates an excellent natural airflow that helps keep the living spaces cool. The unit includes an Air Conditioning system as well, in case the natural cool breeze is not enough! Located on the third level is the master bedroom offering maximum privacy with a walk in closet. This master bedroom has carpet throughout the entire room and into the bathroom and walk in closet. Before you enter the master bedroom you will find a small study area ideal for a desk. The entrance to the garage is located in the back of the property. There is plenty of additional street parking for guest as well. 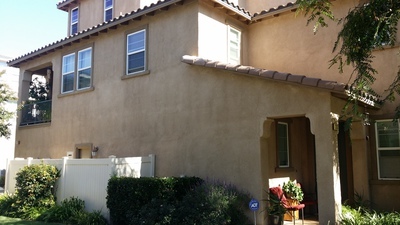 The property has an HOA monthly fee of $190.00. The property taxes are about $5,400 a year, and the Mello Roos is approximately $3,400 a year for this unit. 3131 Lisbon Lane is only a few steps away from the Central Park, one of the communities most elaborate park with a large water fountain, a walking trail, and a gazebo for special events. There is great maintenance of the landscape and parks all throughout the neighborhood making walks a true pleasure and inspiring active lifestyles. Currently, due to the severe drought in Southern California, you will see slight discoloration of the Greenbelt due to diminished irrigation in efforts to conserve water. The townhoue is conveniently located near the 101 Freeway which makes it easy for those that commute. Take Ventura Rd to Fifth St. and you are at the beach in minutes. You don't have to live without the beach another day if you don't want to. RiverPark is truly an innovative community with a unique design of which the majority of the homes are centered around neighborhood parks, all within walking distance to the hottest shopping and dining destination in town - The Collection. The Collection is complete with stores, shops, office spaces and restaurants. This subdivision is located off the 101 Freeway between Los Angeles to the South and Santa Barbara to the North. Come Dine Shop Play and Live in this unique neighborhood! You will find that the parks are an ideal place for sunny afternoon picnics with family and friends, a child's birthday party, or sporting events. Additionally as you make your walk through this green landscape you will find it ideal for walking your friendly pet- this is a very pet friendly neighborhood. There is a police station and fire station along with the Rio Del Mar Elementary School in Rio Vista Middle school. River Park has a special assessment tax, otherwise known as Mello Roos and is calculated based on square footage. All which is used to help upkeep the area with private security, meticulous maintenance and funds to keep the local schools improved. 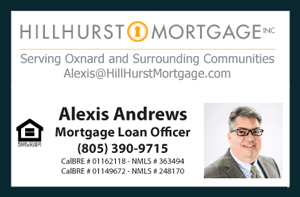 Please feel free to call or text me if you need more details about what it takes to live in this unique and modern neigborhood or any part of Oxnard at (805) 444-6366. All consultations are Free.